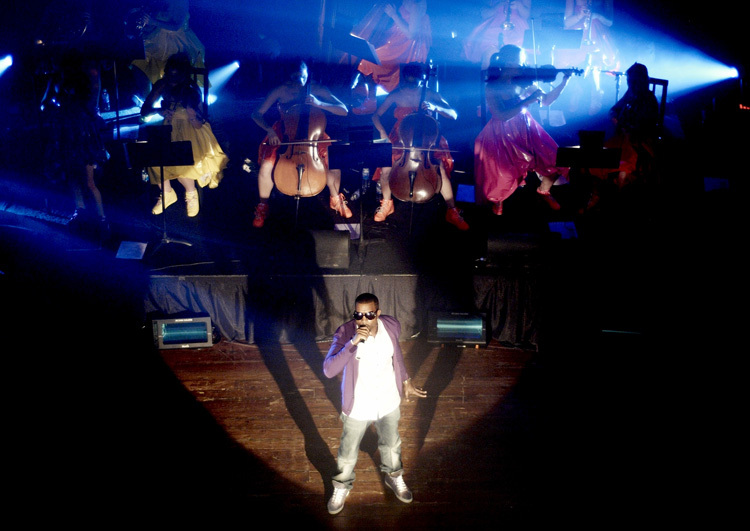 Kanye West will headline Wireless 2014 (Photo credit: Wikipedia). The tenth Wireless Festival will take place for the very first time at London’s Finsbury Park and Birmingham’s Perry Park on Friday 4th July – Sunday 6th July, with headline acts including Kanye West, Drake and Bruno Mars. OutKast, Pharrell Williams, Rudimental, Basement Jaxx, Ellie Goulding, Wiz Khalifa, John Newman, Iggy Azalea, Azealia Banks, Pretty Lights, Chance The Rapper, Ella Eyre, Angel Haze, Salt-N-Pepa, Clean Bandit, Earl Sweatshirt, A$AP Ferg and Neon Jungle have also been confirmed to play across the weekend, with many more acts to be announced soon. Tickets for Wireless Festival go on sale on Friday 31st January at 9am, available at www.wirelessfestival.co.uk. London: £65 per day + plus booking fee. Birmingham: for a limited period and subject to availability early bird day tickets are available at £62.50 + booking fee and early bird three day tickets available at £160 + booking fee. Note: a pre-sale starts through the Live Nation website on 30th January for those who want to be ahead of the game.